After being away for months and growing a beard, Stephen Colbert is back and he's ready to bring his "Late Show" to the internet. "Hi, everybody! I'm Stephen Colbert. Welcome to the Internet. Good news, I still exist," Colbert said in an online video. 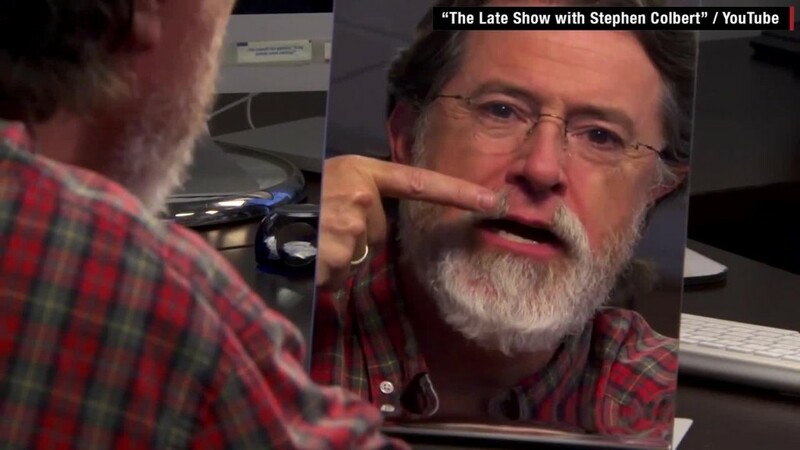 On Wednesday, the network released a nearly six minute video featuring Colbert in which the comedian tries to figure out how to shave his "Colbeard." You can watch the full video here. "CBS is making me shave it off because Tom Selleck's mustache has a non-compete clause," Colbert added in the video. Away from his trimming tutorial, CBS also announced the launch of the new website for Colbert's "Late Show" along with a new Twitter account, Facebook page, and YouTube channel. In addition, the network announced a new iOS mobile app named the "Colbr App" that will include videos and podcasts as well as other Colbert tidbits. "Say what you will about the Internet, I think it's here to stay!" Colbert said in a statement. "Launching ColbertLateShow.com puts me in the same league as Google.com, Facebook.com and ferretfancier.blogspot.com!" CBS's big online push for Colbert's new "Late Show" is telling considering that success in late night can now be judged by TV ratings and online reach. 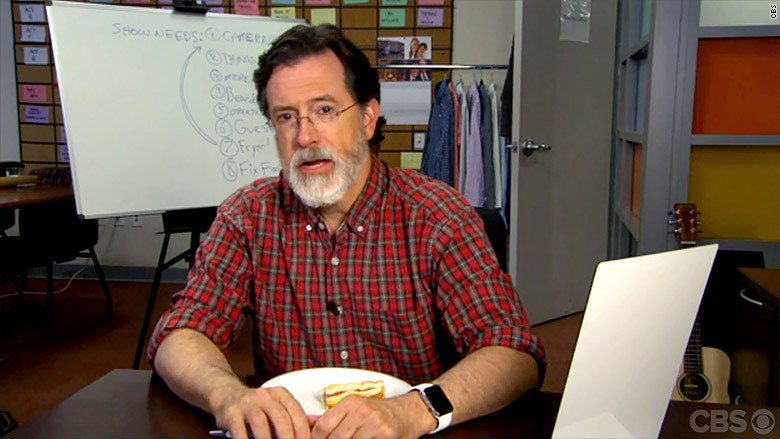 CBS debuted a new video starring Colbert and his "Colbeard." Colbert's competitors like ABC's Jimmy Kimmel and NBC's "Tonight Show" host Jimmy Fallon have found a big audience online pulling in millions of views and fans on sites like YouTube. Colbert's predecessor, David Letterman, was a legendary late night host, but didn't have a huge viral presence online, something that even Letterman admitted. "People on the staff said, 'You know what would be great is if you would join Twitter.' And I recognized the value of it. It's just, I didn't know what to say. You go back to your parents' house, and they still have the rotary phone. It's a little like that," Letterman told the New York Times in April. Colbert's online push joins his fellow host in late night James Corden of "The Late Late Show" who has had some viral hits of his own since taking over the CBS show in March. But after today's "Colbeard" video, it looks like CBS is bringing reinforcements for the late night battle being waged online. Colbert moves into the Ed Sullivan Theater to take over the "Late Show" on September 8.